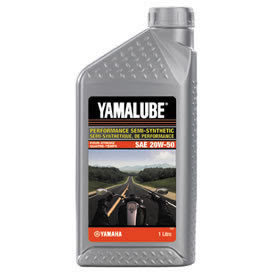 Yamalube oils have been updated with improved labelling and formulas. The Yamalube bottle colour indicates the type of oil. 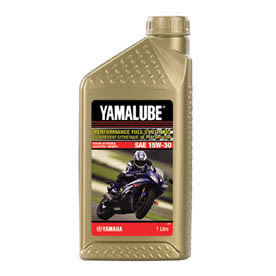 Yamalube Black for mineral oil, Yamalube Silver for semi-synthetic and Yamalube Gold for full synthetic oil. The bottle label shows a picture of the machine the oil is intended for. Some labels show the handles of a cruiser or a dirt bike or a snowmobile. This helps you pick the right oil for your machine. 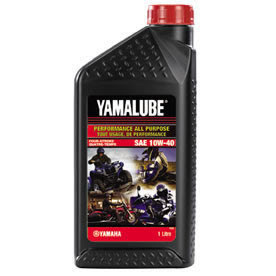 Yamalube oils are precisely formulated to enhance the performance of your Yamaha and offer exceptional protection against wear and tear. Never use automotive oils. Read our Yamalube fact sheet for more information. New oil grades are available. Here is a general description of the 3 major oils. The oil you choose depends on your riding needs. full synthetic, ester-fortified oil for race and sport applications.